We are about halfway through with our Whole Foods Market Burger Bash! For our third burger, we decided to change it up a bit and throw a vegan burger recipe into the mix. 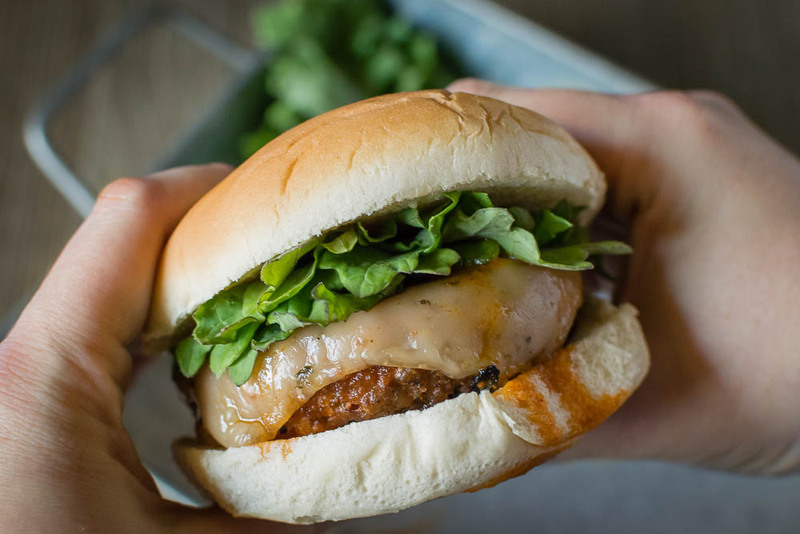 While they aren’t one of Whole Food Market‘s pre-seasoned patties, we found Beyond Meat Beyond Burgers at Whole Foods and fell in love. The Beyond Burger™ is a ready-to-cook “raw” patty that looks, cooks, and tastes like a fresh beef burger. We first heard about it from our friend Kaiti over at Tasty Kaiti”s Kitchen. So when we saw them at our local Whole Foods, we knew we need to try them. Having had other veggie burgers in the past, we were shocked at how close these burgers tasted to the real thing. The textue is perfect! We’ve never had a vegan burger fool our minds they way this one did. A burger isn’t complete without without cheese and condiments. Fear not! Our Buffalo Kale Beyond Meat Vegan Burger has both! We used Follow Your Heart vegan pepper jack cheese. The great thing about this cheese is that it melts! If you’ve tried vegan cheeses, you know this is a rarity! For our buffalo sauce we used Tessemae’s Hot Buffalo Sauce. Not only is this sauce tasty, it is also Sugar Free, Vegan, Gluten Free, Kosher, and Whole30 compliant. We aren’t done yet! The next burger on the line-up is our Chipotle Slaw Burger! What are some of your favorite vegan burgers? We’d love to know! Leave a comment below or use the hashtag #GeekEats! Grill Beyond Burger Patty for about 3-5 minutes, flipping once and cooking for an addition 3 minutes. Before removing from grill, add cheese and allow to melt. 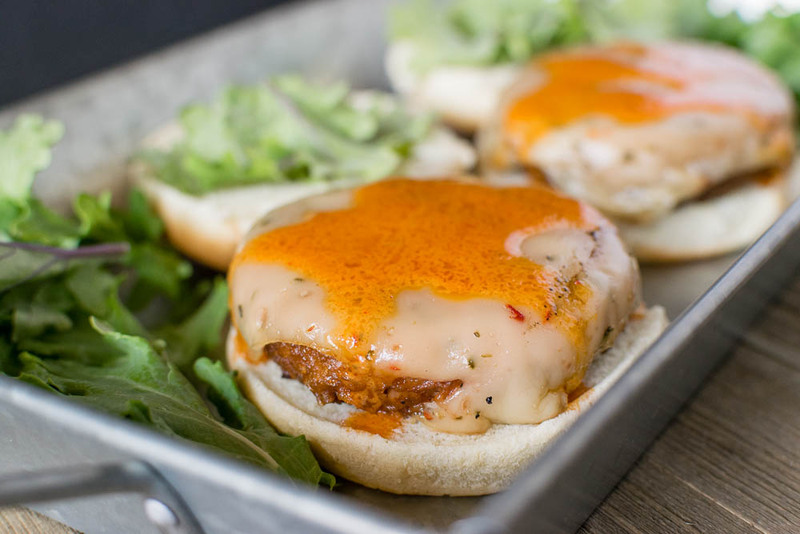 Spread a thin layer of buffalo sauce on the patty. Top with kale and bun top. 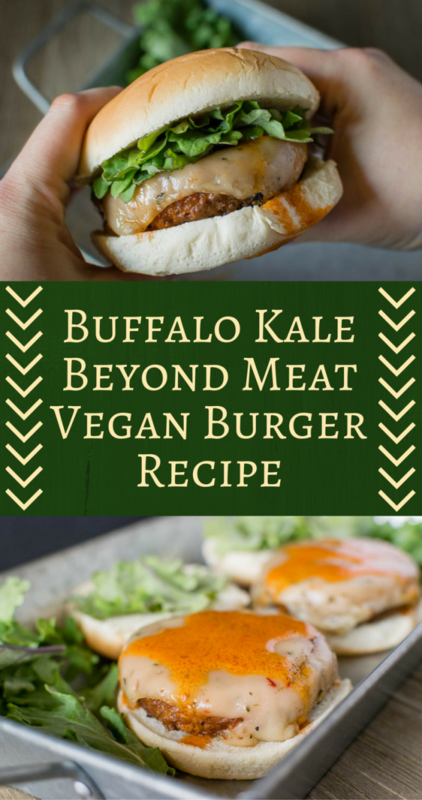 Thanks for sharing such a yummy looking recipe for Buffalo Kale Burger recipe! It’s interesting that such a good looking burger can be made without even using meat. I do wonder how it tastes though. I hope that I’d have a free schedule next month for me to try this recipe out. As for now, I’m unusually craving for a burger. I’d have to look around for a good joint to eat.